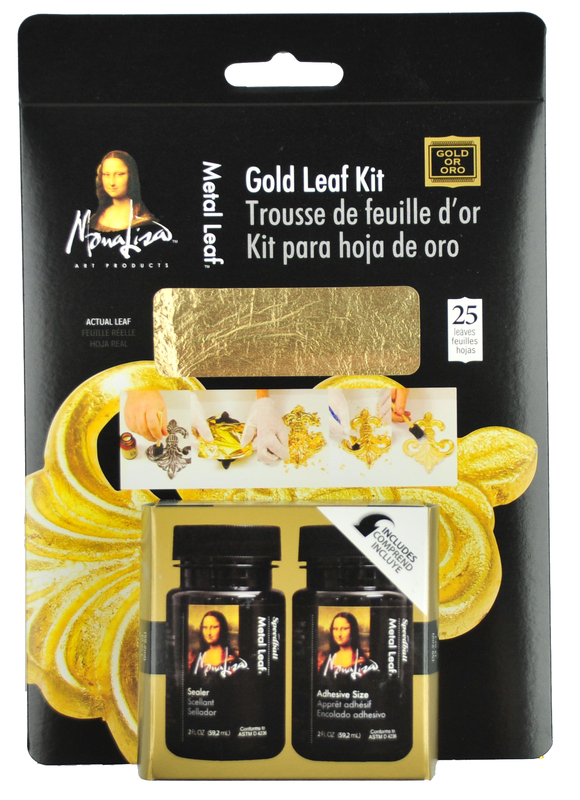 Includes (1) Mona Lisa Adhesive Pen and (6) sheets of Mona Lisa Simple Leaf. Available in Gold and Silver Simple Leaf variations. Contains (6) sheets of Composition Metal Leaf (Gold), (1) .25oz. Mona Lisa Brush-On Adhesive, (1) .25oz. Mona Lisa Water-Based Sealer, (1) .25oz. Mona Lisa Red Basecoat, (1) .25oz. Mona Lisa Antiquing Glaze and (1) Metal Leaf Instruction Guide. Features 25 sheets of Composition Metal Leaf (Gold) and (1) 2oz. 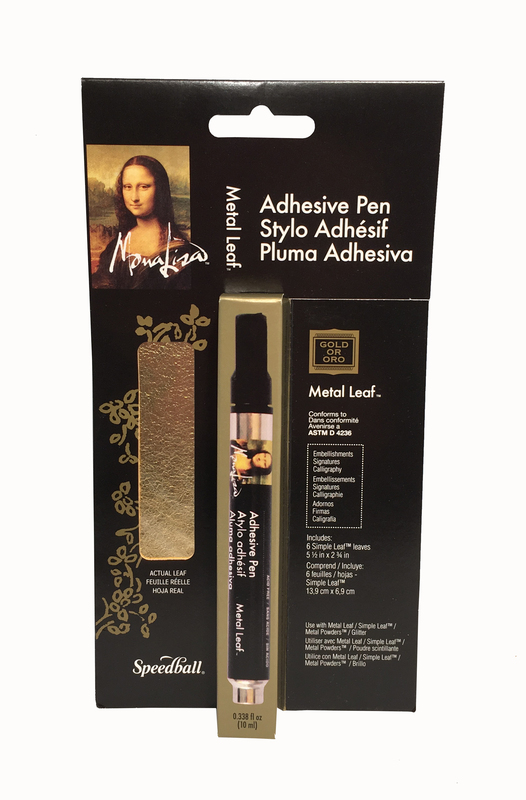 Mona Lisa Brush-On Adhesive, (1) 2oz. 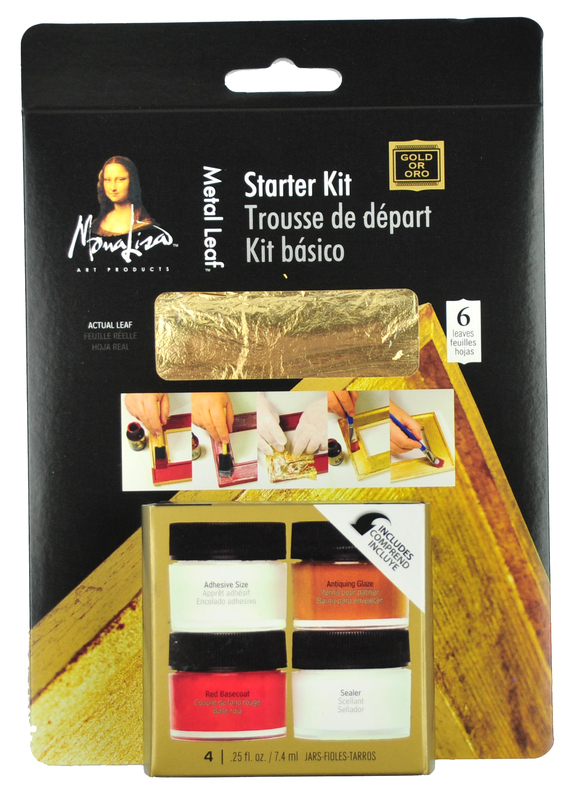 Mona Lisa Water-Based Sealer, and (1) Metal Leaf Instruction Guide.